Our Tuxedo Black 2016 Ford Escape S SUV will impress you with its can-do demeanor! Motivated by a robust 2.5 Liter 4 Cylinder that offers 168hp while perfectly matched with a 6 Speed Selectshift Automatic transmission for easy passing. Our Front Wheel Drive Escape rewards you with near 31mpg on the highway plus handles like a dream with precise steering and torque vectoring control that gives you impressive response and agility. The aerodynamic physique of our Escape makes a stylish statement. 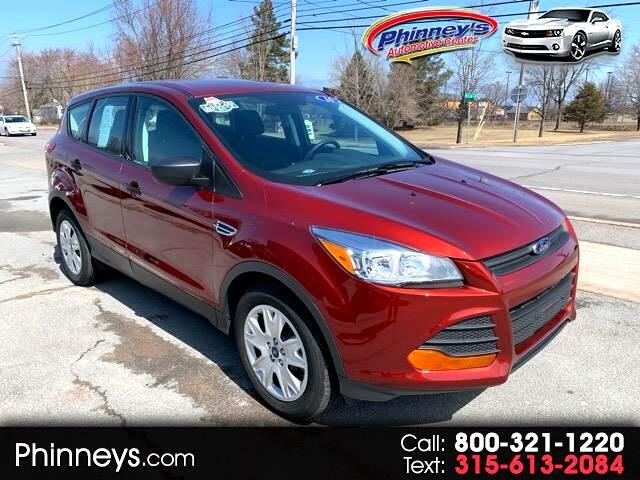 Carefully constructed with your active lifestyle in mind, safety has never been better with the Ford Escape. Six standard airbags, stability control, SOS post-crash alert, tire pressure monitoring and traction control all ensure your safety on the road. MyKey even lets you customize features such as speed and volume controls for the young drivers of the family. You have chosen a smart and versatile SUV! Print this page and call us Now... We Know You Will Enjoy Your Test Drive Towards Ownership!